After testing the WhatsApp Payments feature for over a week, the Facebook-owned messaging platform is all set to launch the UPI based full feature money transfer service in India. The National Payments Corporation of India who looks after UPI based payments in the country confirmed this on Friday. The statement of NPCI, which is the body set up by the central bank and lenders to look after the digital payment services, hints the official launch of WhatsApp Payment service is nearing. As mentioned, WhatsApp has already launched a limited service in India last week to test the feature. How will WhatsApp Payments work? WhatsApp Payments feature will work just like any other UPI based payment service. Customers will have to use their phone numbers that are linked to their bank accounts to send or receive the money directly into the bank accounts. 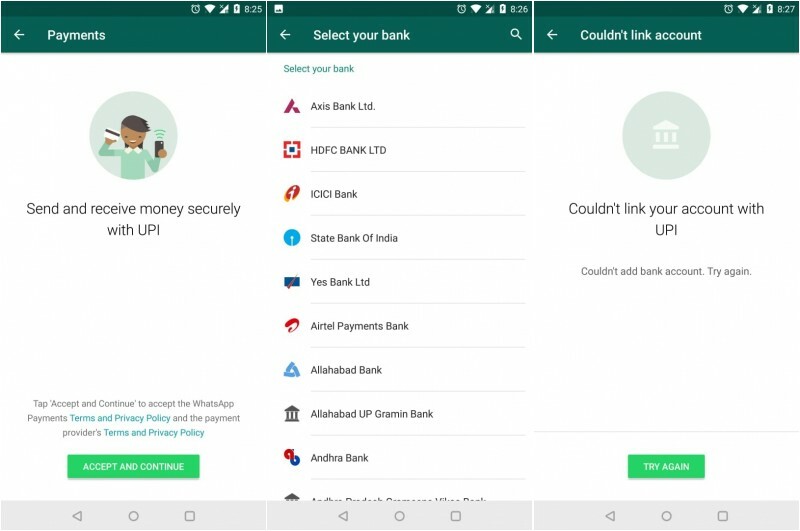 As of now, four banks will join to offer UPI service for WhatsApp, NPCI said. India’s third-biggest bank, ICICI Bank already processes the fund transfers on WhatsApp, as the application shows. Customers will only have to choose their banks and enter the registered mobile number to start the WhatsApp UPI service. The UPI based payment services have got a boost after the Government’s demonetization move back in 2016. There has been a surge in online payment providers such as homegrown Paytm which is the biggest digital payments service in India as of now. Now, WhatsApp which has more than 200 million users in India, is likely to create a threat to those established players. Whether its Paytm or Google that also launched a payments app Tez last year to compete with local players.